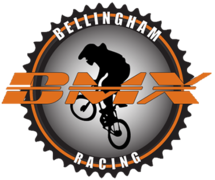 BMX racing is alive and strong in Bellingham. BBMX is a 501c3 sports facility. With the help of countless volunteers we run races on a full-size national level bmx track built on an abandoned golf driving range. The track is rideable by all age and skill levels. If you are new to the sport or a returning champion BBMX is ready for you. Come and check us out. Its free to watch and a family friendly environment. Practice/open track Tuesday and Thursday nights, $5 to ride. Races are held Friday evenings . Sign ups 5-6:30 $10 to race. Cancellation notices due to rain are available via text messages using the RainedOut app.